Create-ahh have a number of spaces that communities and individuals can hire for residential and day visits. We are committed to making our facilities available to people and groups with different budgets, and are willing to negotiate costs based on a sliding scale basis. We understand that each project is different, from the kind of spaces people need to the funding available to support them. We therefore encourage you to contact us to discuss your project so we can work something out that can reflect the resources available to you, but also enable us to sustain the project in the long-term. Single room with single bed, small chair and desk. This room is an ideal space for a single writers to come and focus on their work. 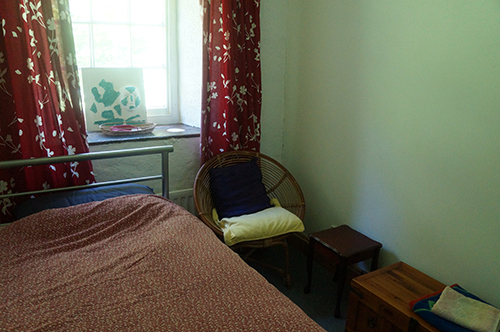 Suitable for: Individual writers or people who need a bit of quiet time away from everything. You are welcome to have dinner with us, which is an additional £5 per meal. At the heart of the Create-ahh project is Hecate’s Haven. Dark or lit to the barest minimum, this is a space to explore the nurturing and illuminating powers of darkness, shadows, stillness and mystery. Suitable for: Healing, meditation, workshops, retreat, transformation. 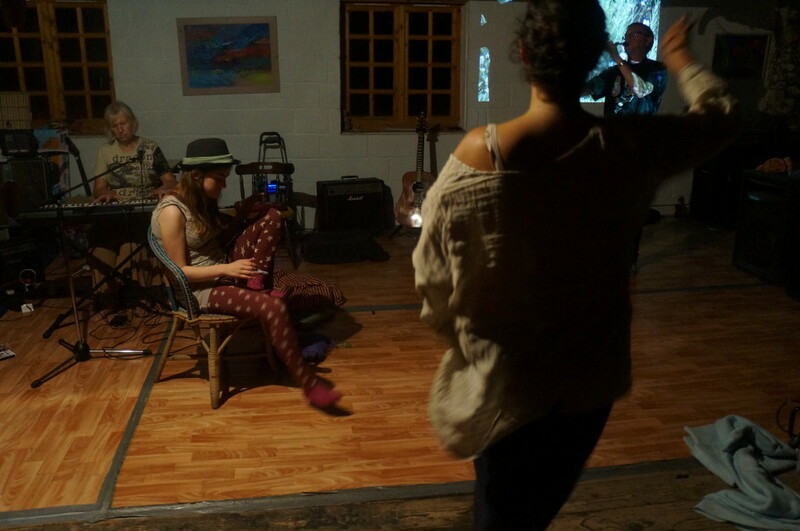 The Ballroom is a space for gathering, music-making, rehearsal, improvisation and festivity. 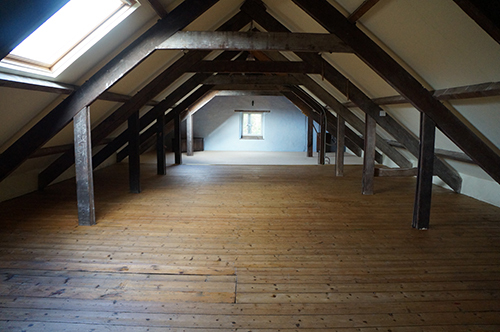 Suitable for: Rehearsal and recording space for bands, musical workshops, collaborative exercises, dance and movement. The Changing Room is both tranquil and vibrant, an amazing space for groups to come together and work on ideas, healing and creativity. The room includes several individual cubby holes which visitors can sleep in. This makes it a unique space to work collaboratively in. 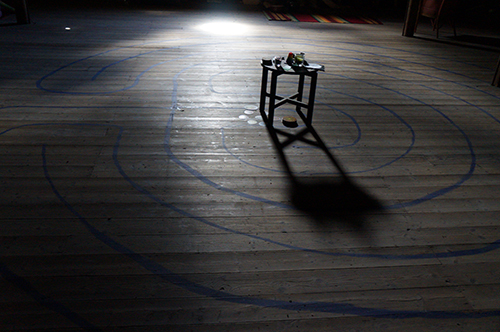 Suitable for: Meditation or yoga retreats, painting, theatre and performance rehearsals. We are also interested in developing a culture of exchange and contribution as a core part of the Create-ahh philosophy. Plenty of work still needs to be done within the mill – from decorating, building maintenance to gardening – you may want to offer your time in exchange for staying with us and using our facilities. To aid this process we will organise a series of themed working weeks and weekends that will focus on developing specific areas of the building. Details of these activities will be posted on the blog. *Please note that the Create-ahh kitchen is vegetarian.